Ever feel like you’re not birding enough? I know how ludicrous that question sounds to some of you, but others understand how often other commitments interfere with even our most favorite activities. While I can’t Marie Kondo your busy schedule, I’d like to help reconnect you to those birding moments that spark joy. Just make sure that you have a Best Bird of the Weekend to report every Monday. The sighting or species in question need not meet any standard except those you set for it. Seek out one worthy bird a weekend, and you will ensure a year of steady birding fun. Try it! I ran up to the lake in search of some sort of white-winged gull but couldn’t find one no matter how long I combed through the Ring-billed, Herring, and Great Black-backed flocks. Luckily, I could close out North American sawbills for the year with my first Red-breasted Merganser sightings. Having not done much birding for the last several weeks, Corey made up for it on Sunday with a more-than-half-a-day outing. 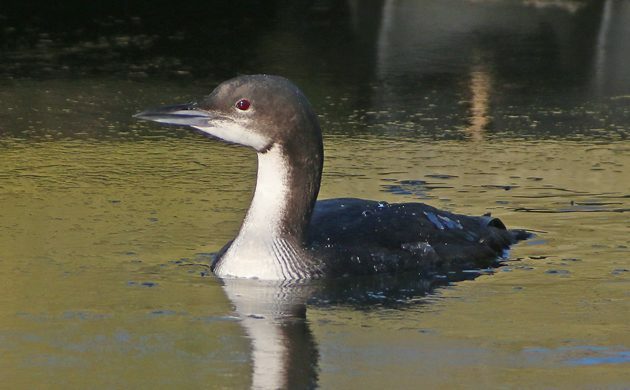 His day started at Oyster Bay in Long Island’s Nassau County where a Pacific Loon had been seen for a week. It was as cooperative as reported and Corey’s second Pacific Loon in New York State easily took home Best Bird of the Weekend honors. Where Are You Birding This Third Weekend of September 2013?